Diron wholesale cat aftermarket connecting rod, they are quality new aftermarket replace con rod which used for repair heavy equipment cat, cummins, komatsu machines. diron is a heavy equipment replacement parts dealer from china. 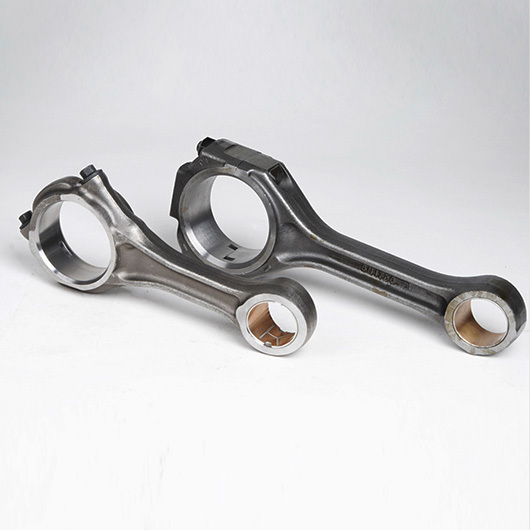 Connecting rod is consisted of connecting rod, connecting rod cover, connecting rod bolts and connecting rod bearings and other parts, connecting rod and connecting rod is divided into connecting rod head, shaft and connecting rod bulk. The role of the connecting rod is to pass the piston force to the crankshaft, and the reciprocating motion of the piston into the crankshaft rotary motion. The connecting rod is an important part of an engine of an automobile and a ship. It connects the piston and the crankshaft. It is used to convert the reciprocating motion of the piston into the rotational motion of the crankshaft and transmit the force acting on the piston to the crankshaft to output the power.